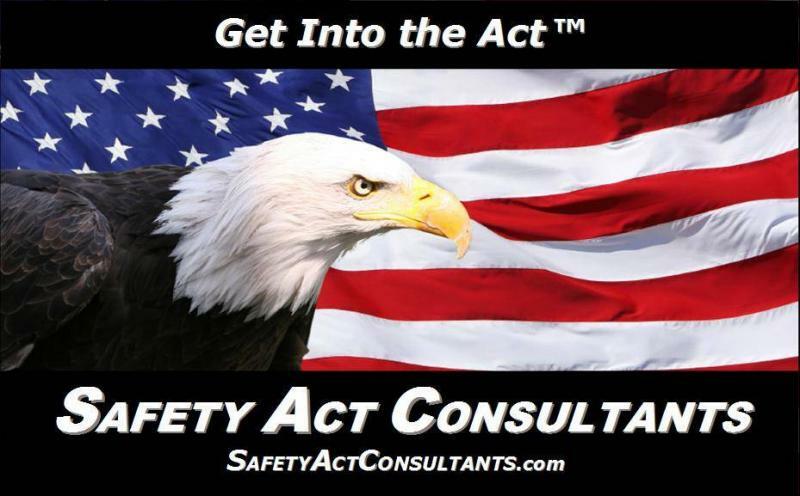 The SAFETY Act is not a government supplied insurance or indemnification program. SAFETY Act specifically requires the applicant to maintain insurance that provides coverage for third party claims arising out of an act of terrorism whenever the approved products or services are deployed. The insurance requirements under SAFETY Act are probably the most confusing, poorly worded, least addressed, and the most disregarded issue when it comes to SAFETY Act. The Department of Homeland Security, lawyers, and insurance brokers are rarely, if ever, experts on both insurance and the SAFETY Act. All SAFETY Act / Terrorism related liability policies must be carefully worded and dovetailed in order to protect your overall insurance program and coverage as well as the protections granted to you under the SAFETY Act. In addition to the limit of liability required, your SAFETY Act certification letter must specifically address all of the insurance related issues and requirements including those perils excluded under your policy and how your liability cap applies to such. The applicant is the one who must assure that their insurance coverage, language and the DHS certification letter are written to best protect them. Just because the DHS has approved your insurance, they are by no means “endorsing” your insurance program as adequate in scope or coverage to protect your interests, or even fully comply with the SAFETY Act's requirements. The DHS staff who review the insurance information you gave them, and compose your certification letter, are not insurance experts. They take information at face value. Be sure your application is technically accurate. Your policy will then likely need to be modified to assure compliance. The only exception would be if you are purchasing a dedicated SAFETY Act policy. Keep in mind, even those policies have “holes” in coverage. Lawyers typically do not understand the complexities of the insurance markets and underwriters' reaction to a given risk scenario. A knowledgeable insurance agent or broker is key. In addition, that agent or broker needs to know the SAFETY Act issues well. NBCR Exposures – SAFETY Act Designees who are involved in the detection, response to, or mitigation of Nuclear, Biological, Chemical or Radiological events (“NBCR”) most likely DO NOT have insurance coverage for these exposures under their liability program. Where are you after an event occurs? If your policy, strictly by its contractual language, “technically” covers a given scenario, such as required under SAFETY Act, how does your underwriter really feel about this exposure? How will your underwriter react when he or she realizes that the insurance required by SAFETY Act mandates that every entity up and downstream in your products lifetime must be included as an additional Insured under your policy? If the DHS has waived this requirement in your certification letter based on their interpretation of the regulation (Final Rule), two issues arise. First, the statute is clear, will their waiving the requirement stand up in court as it certainly will be tested. Second, if the regulation does hold up, due to the nature of the regulation, your insurer’s right to pursue recovery from someone who may actually be more responsible for the loss cannot be exercised. Neither scenario will be well received by your insurer. If the limit of liability required by SAFETY Act for a given QATT is less than what you actually carry for all of your exposures, have you modified your policy to address this change? If not, and there is actually more coverage available than required. After a loss, where will the courts view your cap? Will your policy respond? Will your protection under SAFETY Act be challenged? Will your cap increase to match you coverage? Anyway, the point is that you must fully understand the ramifications of SAFETY Act on your insurance, your insurer, you coverage and not jeopardize any of your protections provided under the SAFETY Act. We use detailed checklists and strategies that mitigate most of these issues to assure maximum protection and minimum cost under both the law and your insurance. We have various insurance positions, wordings, and/or products we may advocate with the SAFETY Act. Each strategy would depend on your actual exposures, existing insurance program structure, insurance markets and types of coverage involved. No one product or program structure can, or could, resolve all our concerns nor is there a "one size fits all solution". We can substantially mitigate many of the risk management issues associated with SAFETY Act and save you money on your total cost of risk. The limits of liability required will depend on both premium cost and the exposures at the time of application. The law specifically states that applicants will not be required to obtain more insurance than is available at prices that do not unreasonably distort the cost of providing the product or service. It is critical to understand that the SAFETY Act provides specific liability caps and affirmative defenses. It is not an insurance product, alternative, waiver, hold harmless or a government indemnity such as under PL 85-804. The successful applicant will be required to carry and maintain insurance that provides third party liability coverage for terrorist acts. The SAFETY Act does not mandate your insurers to provide this coverage as in TRIA. The dollar limit of liability requirement is determined by the DHS during the application process. In addition to the limit of liability required, the legislation and its regulation mandates specific policy coverage / wording. Because certain anti-terror related products and services may have other inherent risks due to their very nature, in is important to understand that SAFETY Act protections do not apply to any claim that does not arise from a designated act of terrorism. The Act will not protect against any other risk. Examples of anti-terrorism products or services with other inherent risks include weapons, electric fences, chemicals, explosives, x-rays, vaccines, false alarms, false arrest etc. This is also a key insurance wording and coverage related issue as to limits and which policy responds to what event.